One of the world’s most anticipated music festivals is back and even better!! 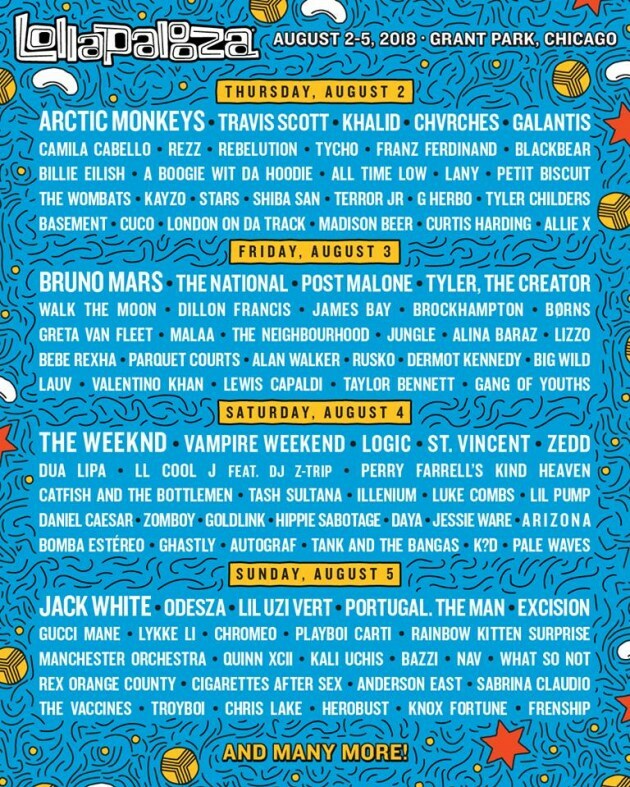 With an amazing line up including Gucci Mane, Post Malone, The Weeknd, and Bruno Mars; Attendees are excited to see what the festival has to offer this year! 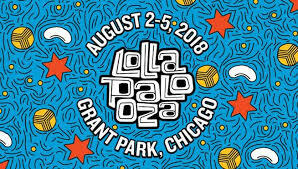 As last year, Lollapalooza (U.S) is set to be held at Chicago’s Grant Park and this year’s dates are August 2nd through 5th. There will be 8 stages and performances going on all day long. The party doesn’t stop there though, because after shows have been announced. 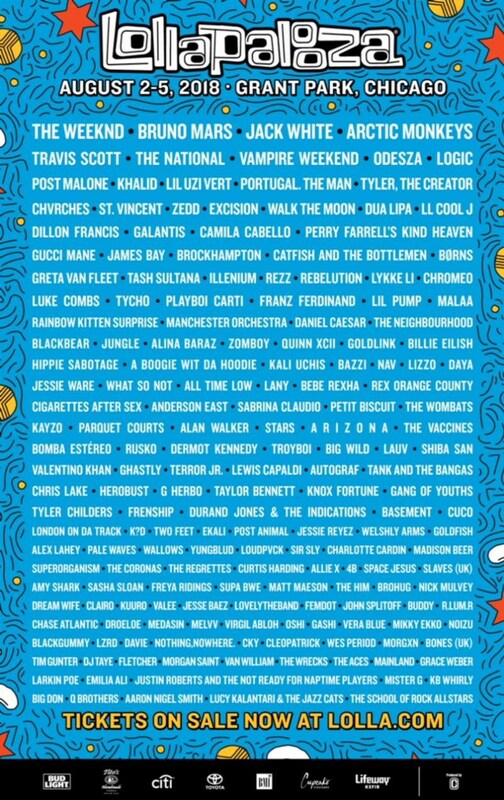 Some honorable mentions are Playboi Carti, Blackbear, and Brockhampton! TUC Magazine will be making an appearance to make sure that our readers that can’t attend are covered and get the entire run down! Hope to see you there!